Military Mess Tents is available in diverse sizes, models, and shapes with excellent finishing with superbly varied designed. We formulate these products using latest quality materials based on well-advanced techniques in accordance with the quality standards. Clients can avail from us these products at most competitive prices. We supply a unique array of Extendable Inner View Military Tent are highly designed so meticulously that even the finest details of decorative clothing are clearly visible. We fabricate these products using finest quality materials based on well-advanced and fashionable trends. These products are available in various distinguished sizes, patterns, styles and elegant color combination. These products are highly useful for various functions, occasions, and any special purposes. We are providing a wide array of Military Tent These tents are especially designed by a team of highly talented and skilled professionals. 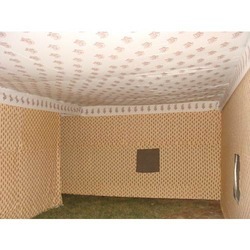 We are the prominent manufacturers and suppliers of a wide range of Military Mess Tents to our clients. 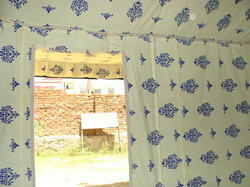 We made these tents using top quality materials these are procured from reliable vendors in the market. These tents are widely used by military people for protection from sunlight, rainy season and any other severe weather conditions. 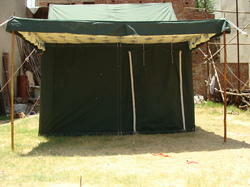 We supply these tents to our clients at competitive prices in the market. Tarpaulin Military Tents is known for its excellent finishing, which gives a magnificent look to the exteriors for any Companying. 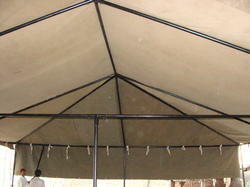 We fabricate these tent products using quality fabric materials based on well versatile fashion trends. Owing to features such as aesthetic appeal, glossy finish and durability, stylish appearance, made from high quality raw materials, handcrafted by skilled workers. Our clients can avail from us these products at the most nominal prices. 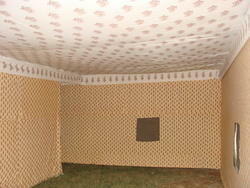 The Outdoor Military Tents is mostly used in a variety of get together, functions, occasions of military. Our assorted finds massive demand in the market for the following features like durable, strong, waterproof and soothing appearance. We made these tent products using finest quality fabric materials based on the latest methods, which meets the quality standards. Our clients can avail from us at the most affordable prices. We are engaged in manufacturing a wide range of Military Mess Tents, which is renowned for their varied designs and patterns. The offered range is designed using optimum quality fabric and other raw material keeping in mind the latest trends of the market. 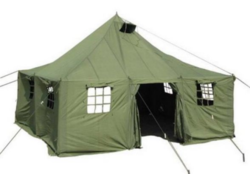 Military Tent is extensively appreciated in the national as well as international military areas for protection from sunlight, rainy season and any other severe weather conditions. 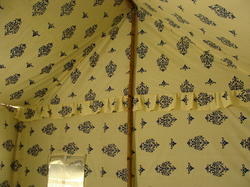 These tents are available at competitive prices in the market. We are counted amongst the foremost manufacturers and suppliers of Military Tent Canvas. Our tents are highly preferred by our valued clients for their superior construction quality and ability to withstand adverse weather conditions. These are widely used in military purpose. We supply these products to our clients at an affordable price range. 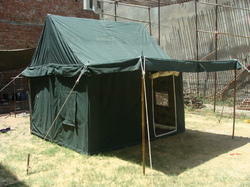 We are offering Double Fly Style Military Tents to our client. 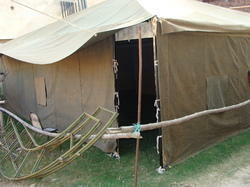 We are offering Relief Military Tents to our client. 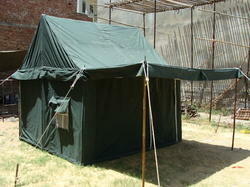 We are offering EPIP Military Tents to our client.